Some Denverites spend more money on camping equipment than their entire wardrobe. 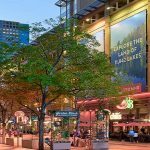 However, you can still manage to shop 'til you drop in the Mile High City at one of these top shopping centers. From the luxury labels of Cherry Creek to the discount prices of Colorado Mills, there's a store for every style and budget. 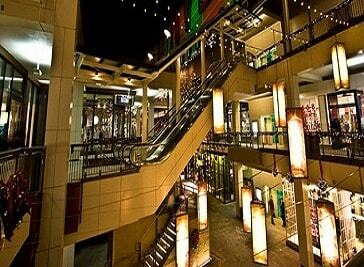 Nothing beats a mall or outdoor shopping center for one-stop shopping. With so many stores in one place, you can pick up whatever you need with a little something extra. 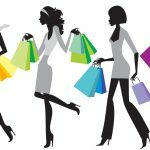 There is no shortage of indoor and outdoor shopping venues in the Denver Metro area. Northfield is an open air shopping center that contains an eclectic mix of stores and restaurants. This is a fun place to go with your friends and make a day of it. Spend the day shopping and then take in a movie or a comedy show when you’re done. Park Meadows Mall contains a mix of higher end stores such as Nordstrom and Coach with more accessible fashion such as Aéropostale and American Eagle. This is the perfect place for a mom-daughter shopping day, as the mall has an American Girl store for the younger girls and a Cheesecake Factory for a lunch time treat with the older girls. The Cherry Creek Shopping Center has long been Denver’s premiere destination for luxury brands. Featuring retailers such as Neiman Marcus, Louis Vuitton, Tiffany and Co. and Michael Kors, among others, stop on by if you are looking for something designer to add to your wardrobe. Park Meadows Mall was built to resemble a mountain lodge, with plenty of wood beams and open spaces. The mall includes specialty stores such as The Buckle, which will hem jeans purchased at the store free of charge. Department store anchors include Dillard's, JC Penney, Macy's and Nordstrom. The food court offers a wide selection of venders, and plenty of seating around a cozy fireplace. The only downside to Park Meadows is the lack of movie theater within the mall. Cherry Creek boasts the crème de la crème of brand-name stores in Denver. Whether you're a Burberry babe or a Lacoste lad, Cherry Creek offers the widest selection of premium labels. Department store anchors include Macy's, Neiman Marcus and Saks Fifth Avenue. The mall's movie theater was recently renovated, and a Nordstrom store is slated to open soon. The only downside to Cherry Creek is its meager food court, which consists of a handful of fast-food restaurants.